The Hell’s Bells cannabis seed strain has a weighted effect and a characteristic Kush taste. A cross between two of our famous and lucrative cannabis strains, our Strawberry Sour Diesel and our Kuchi. Hell’s Bells is the impressive result of crossing a powerful Kuchi father from The Devil’s garden with a sugar-coated phenotype of our female SSD plant. With our Hell’s Bells, we have found the sublime mix between heavy effect and production. We have managed to up the yield by blending these 2 distinct strains and have also unlocked some truly different traits that even we were shocked to see. We have cultivated the best hard-hitting punch from the Kuch with our sweet lady SSD. 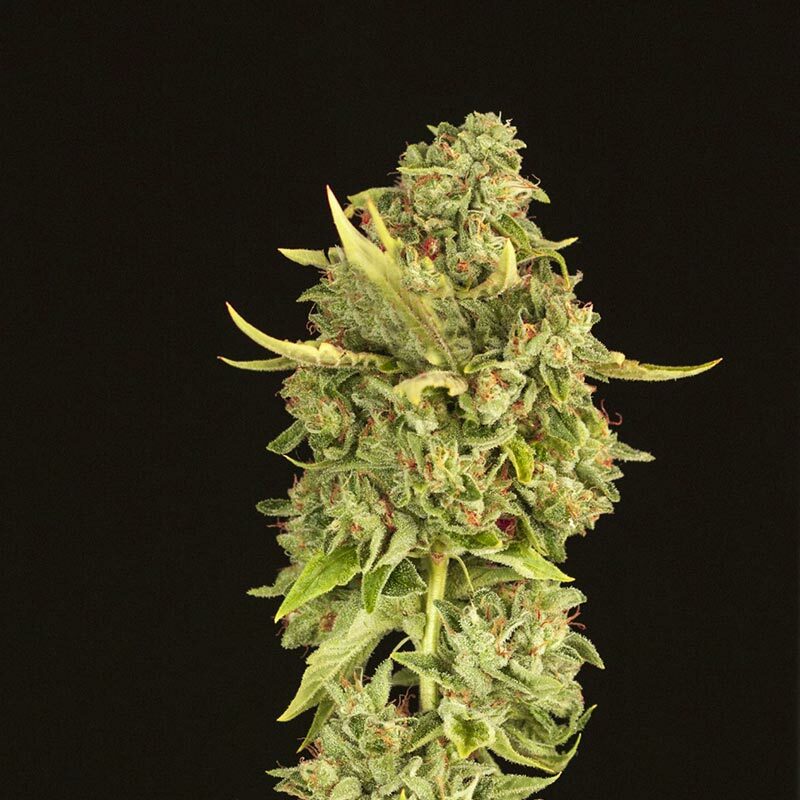 Developing Hell’s Bells has been a project of careful gene selection over a number of years looking for that heavy effect and distinguished Kush taste. This culmination of years of hard work has resulted in a true representation of some of our finest flavor’s that makes us truly proud. Dark, autumn colors make this cannabis plant stand out from the rest, and a straight forward plant structure makes this plant so much easier to grow. With limited stock availability, make sure you don’t miss out on a chance to try Hell’s Bells for yourself – this is a powerhouse strain with a delicious distinctive Kush taste. This is only available in non-feminized, growers wanting to grow mother plants or experiment with their own crosses will also value Hell’s Bells for her strong and mixed genetics contained in both parents which are more or less dominant depending on the seed. Seeds within the same batch create unique, stable phenotypes. The mixture of colors is amazing, that vary from purples and reds right through to some much deeper autumn colors. Hell’s Bells prefers a warmer climate when grown outdoors where she can tend to be ready by around mid-September.